Despite the rain I had a great walk to the Farmers Market at El Cerrito Plaza last Saturday. When the rain stopped I sketched and painted at an outdoor table at Peet’s Coffee across the street. Then I continued my walk to do half a dozen errands. One was to pick up the second disk of “Five Days” from the video store. I’d rented the first disk from Netflix and couldn’t wait for it to go back and part two to arrive. I had to find out what happened. Five days is an incredibly suspenseful, well-written and perfectly acted British TV mini-series about a woman and her kids who go missing. I’d had this movie sitting around for two weeks when I finally sat down to watch it and then couldn’t turn it off. If you like suspenseful police procedurals with great character development, this one is great! 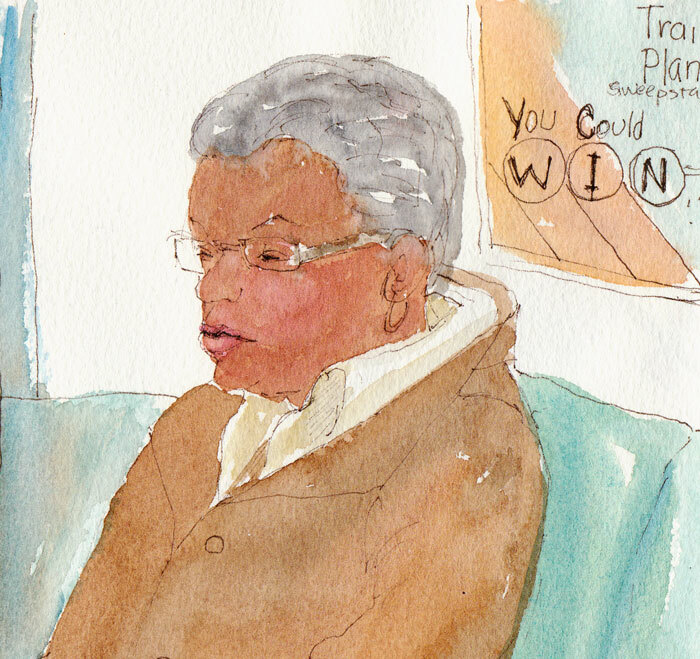 Rainy day, patient, meticulously groomed woman, riding BART. 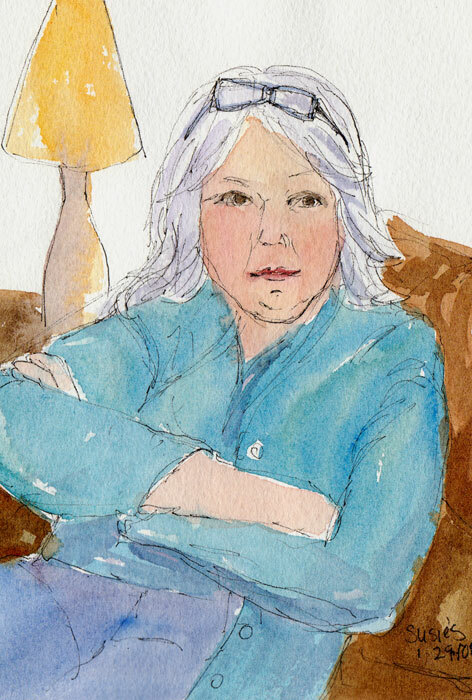 Didn’t catch a likeness in this quickie sketch, but did catch a bit of her spirit. I’ve done that, run to the video store instead of waiting for the Netflix. It is really good all the way through which you have undoubtedly found out by now. You really captured the light of a rain-dreary day in that Pier One sketch. 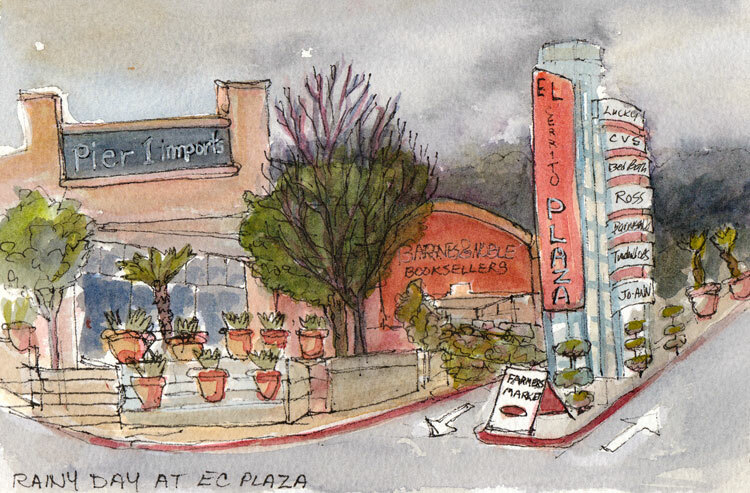 El Cerito Plaza looks familiar and easily identified from your illustration without having to read the post. Looking at your beautiful art, I feel I need to get out of the house and take my sketchbook with me and see what I can come up with.